A rare remix in that it is of a song that was released before 1960. 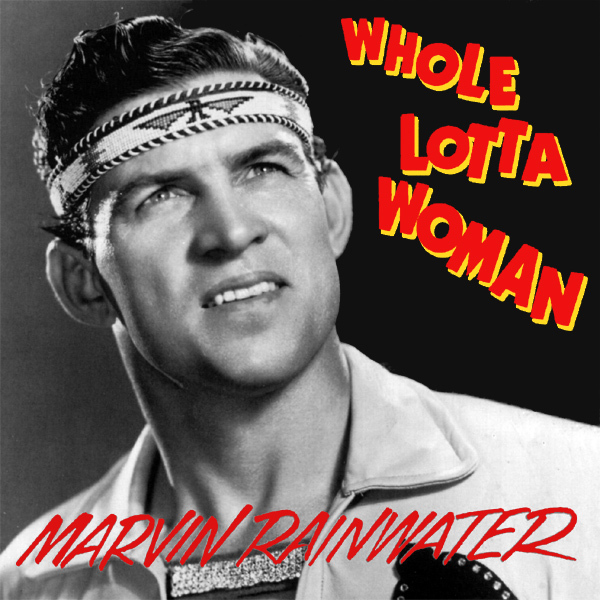 Marvin Rainwater sings about a Whole Lotta Woman, but on the original single cover artwork all we find is Mr Rainwater looking as if he is about to play tennis with a bunch of Apache Indians. On the remix we find a whole lotta woman, so much woman in fact that she nearly fills the whole remixed cover. Is this who Mr Rainwater was singing about? She does appear to come from the 1950s. Ancient!